We’re a group that focuses on quality over quantity. Business results over vanity metrics. And service over show. Ready to grow your revenue through a solid online presence? Ready to focus long-term on getting direct business and building customer loyalty? Interested in working with someone who can produce real results – (not the Walmart of online marketing)? Then we can help you to grow a strong and sustainable business. 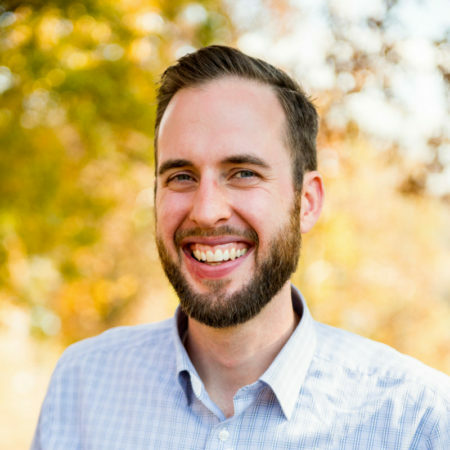 Matt Heffner is the Founder and CEO of Red Oak Local. In 2009 while working for a small business he was thrust into the world of online marketing after a web design company delivered a poor website for thousands of dollars with no actual marketing plan. He knew small businesses’ needed a partner to actually help their clients grow their business with digital marketing. In 2010 he started Red Oak Local (formerly Encounter Marketing) to provide true partnership to small businesses looking to grow their revenue through their online presence. For the past 9 years he has worked with start-ups, non-profits, popular authors, and established businesses in a wide range of industries with annual revenue of up to $5 million. But what he loves best is to help local businesses get new customers from their online marketing. Previously he was part of the Marketing Strategy team for Vitamix Corp. developing marketing strategies for the household retail business unit including retailers such as Target, Costco, Bed Bath & Beyond, Amazon, Williams-Sonoma, QVC, and more throughout North America. Our core values are a reflection of our name and the industry we serve. Stability – We build honest, stable, and long-lasting relationships with our customers and intend to be a reliable partner for a long time. Hospitality – Outstanding service to our clients. We love the high level of personal service we get from local businesses and we emulate that in our services to them. Covering – Our services cover the important online marketing elements to get results for local businesses. Seeds – Red Oak is focused on the important areas that will grow business for our clients not those that are only passing fads. Roots – Our strong marketing base will sustain clients for many years because they are built on enduring marketing principals. Tall – We are the forward thinking partner that will advise on how to navigate the changing online marketing landscape.